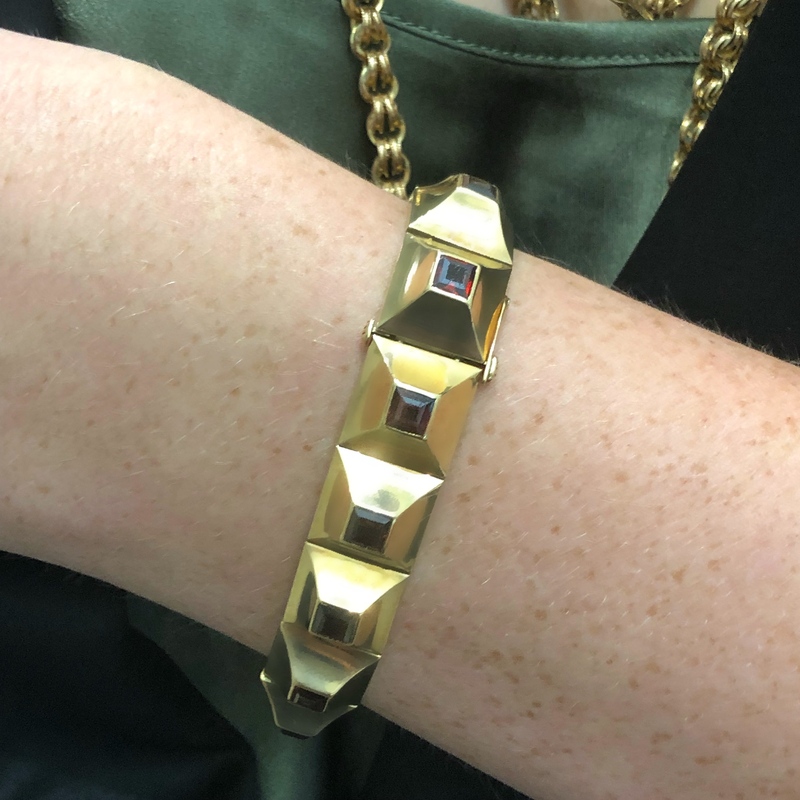 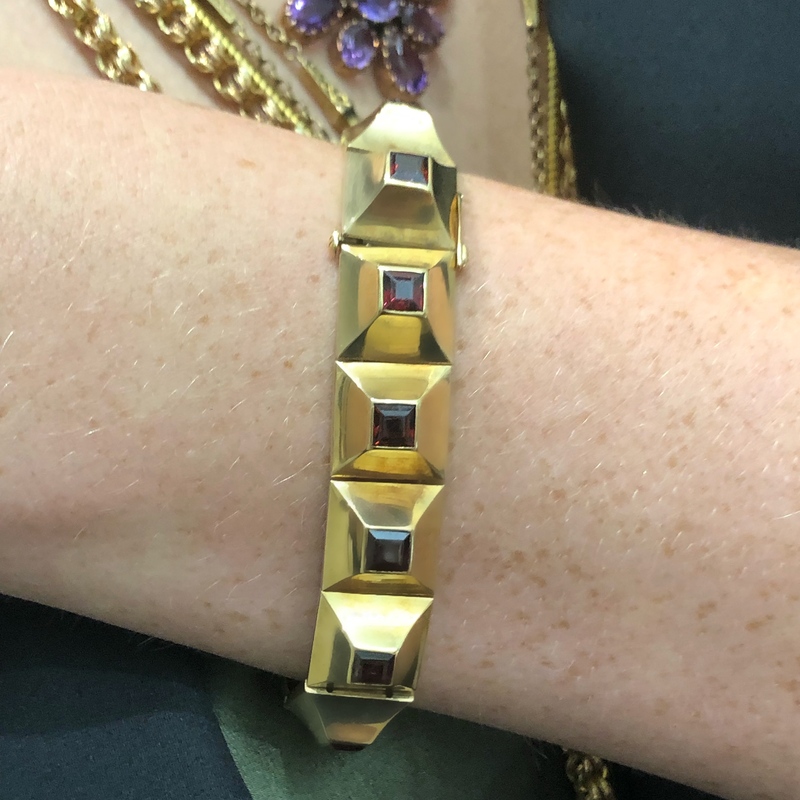 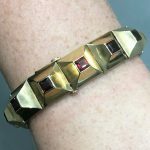 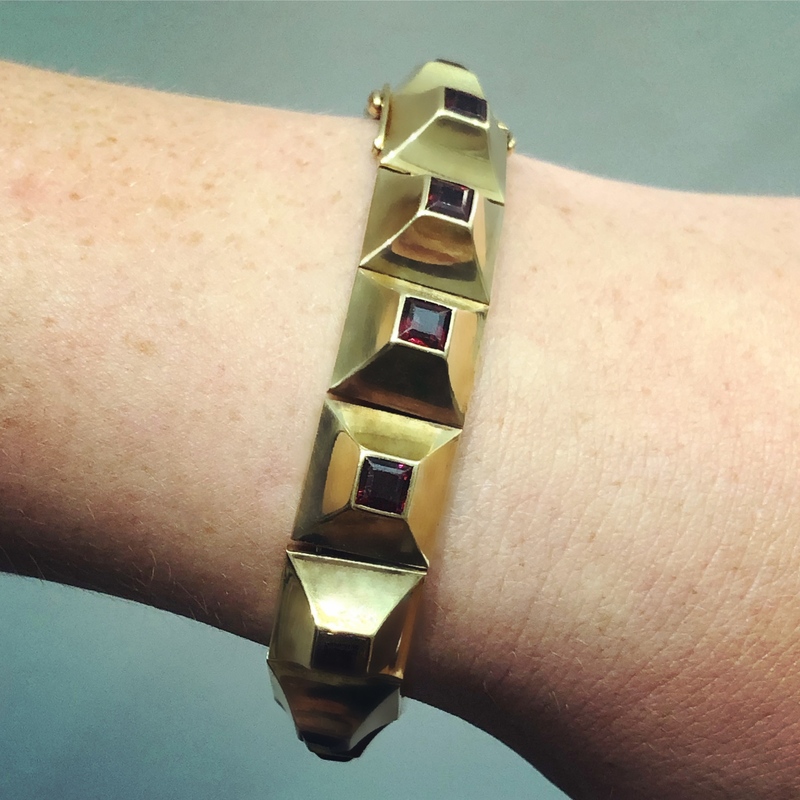 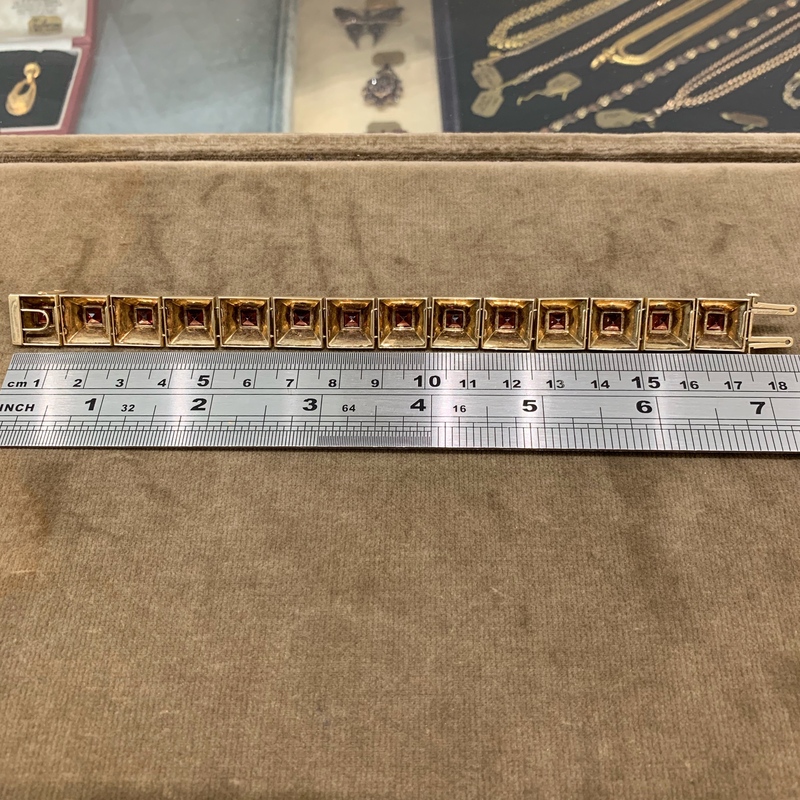 Here is a strong Retro bracelet from the 1940s. 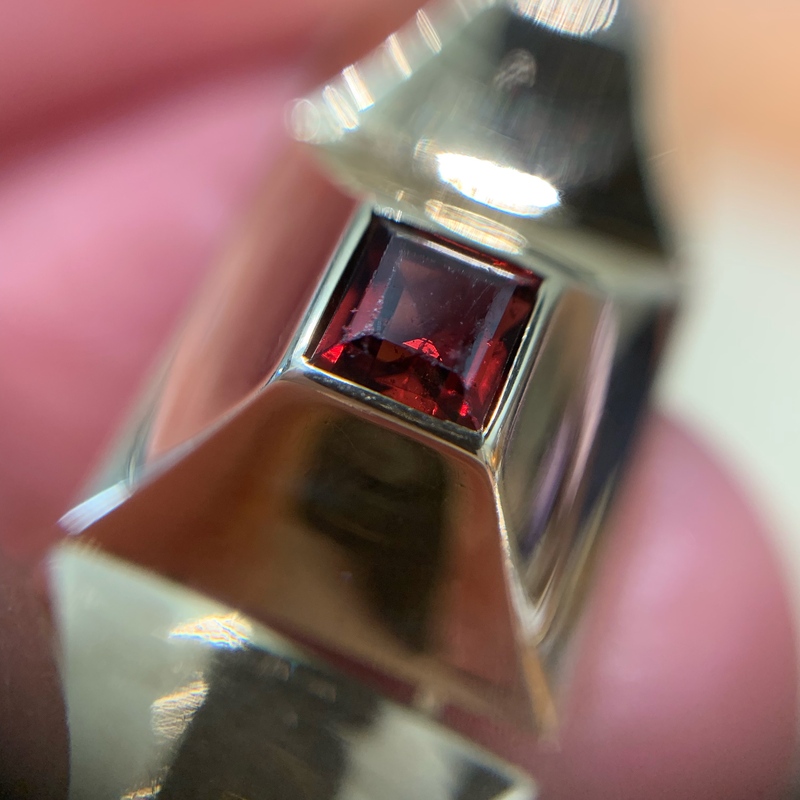 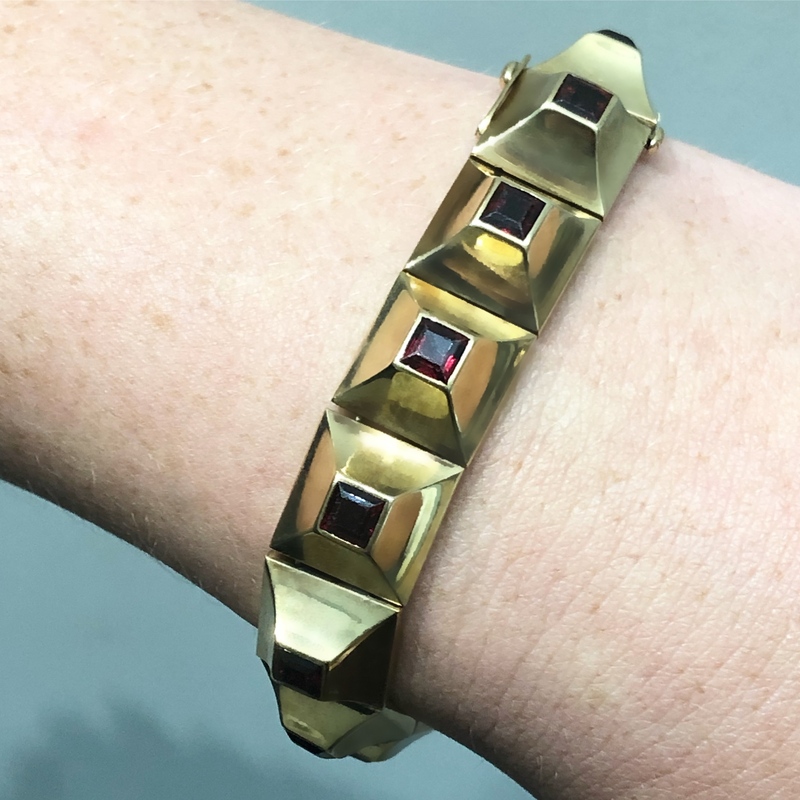 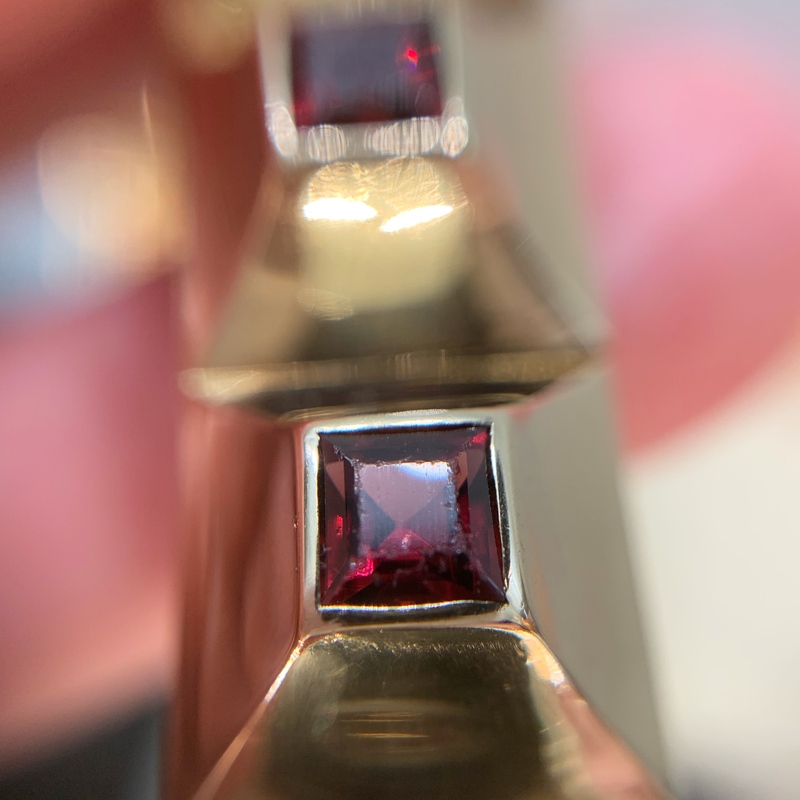 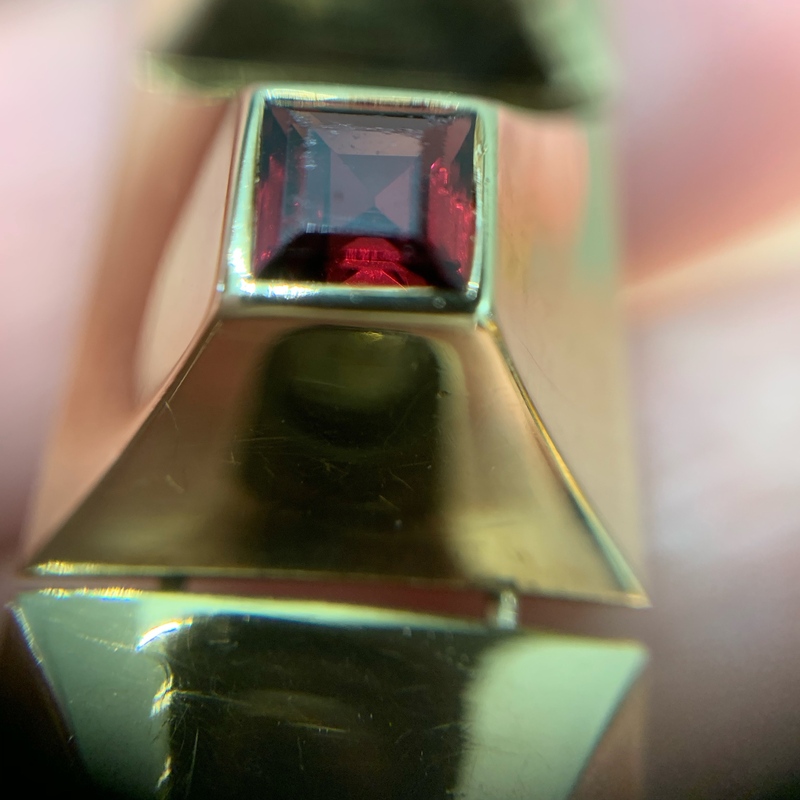 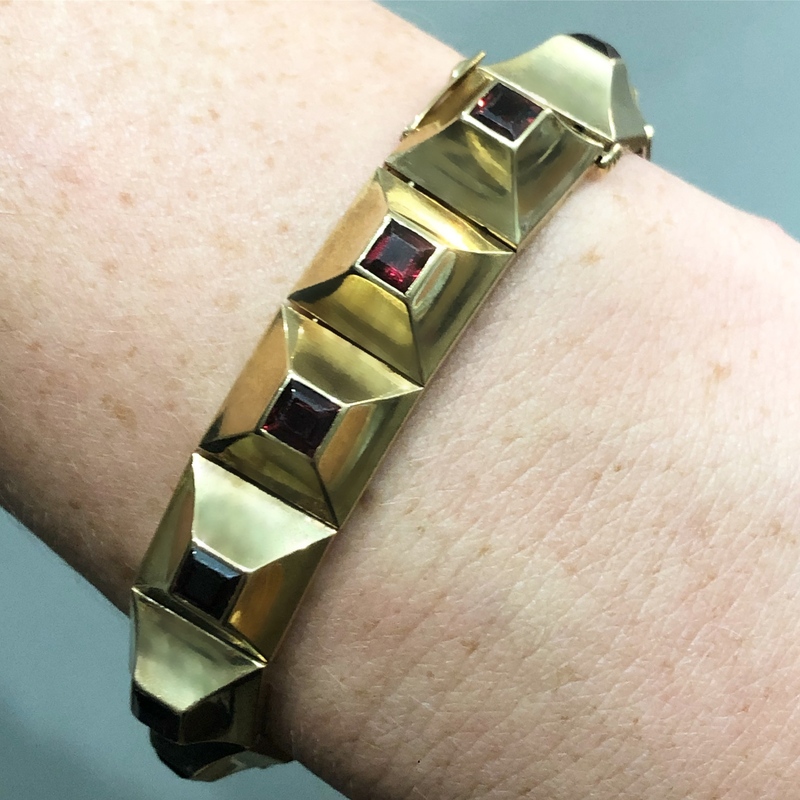 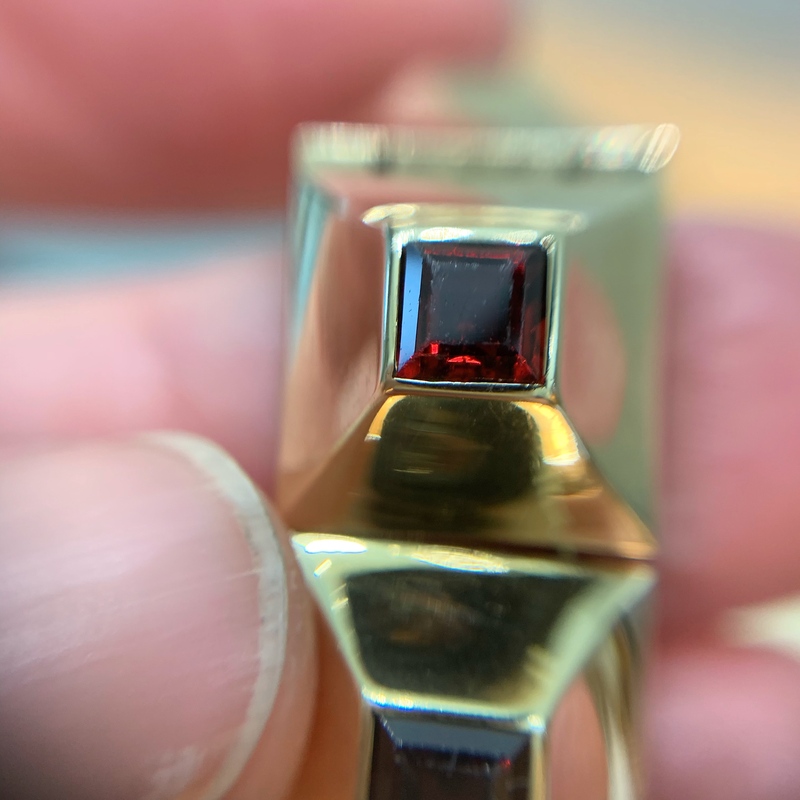 Deep square pyramid-shaped links with concave sides are each set with a square cut garnet. 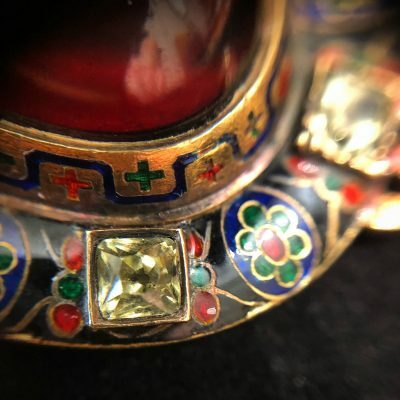 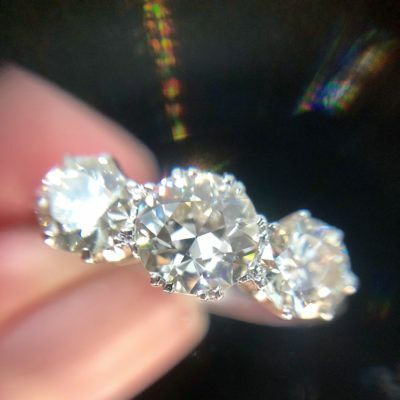 This example has been handcrafted in nine-carat gold, so it’s probably English – unlike many in this style, which were made in the US in 14-carat. 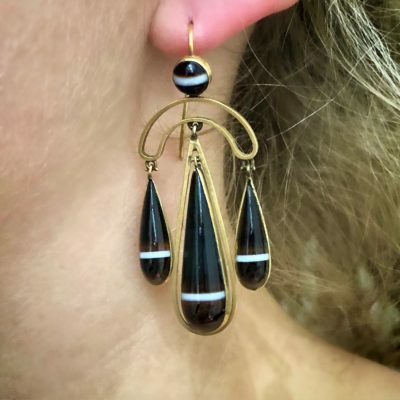 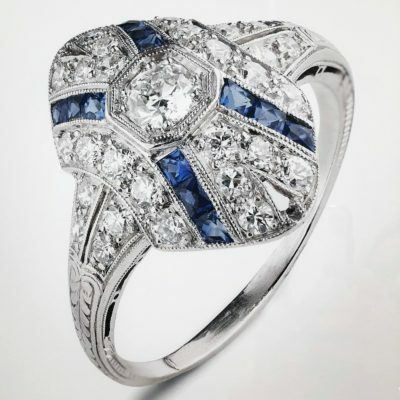 I feel this piece could suit a woman who would normally be swamped by the massive scale of most of the jewels from this era.